Incoherent subsampling for high acquisition speed: MRI involves encoding of spatial frequency information called k-space. 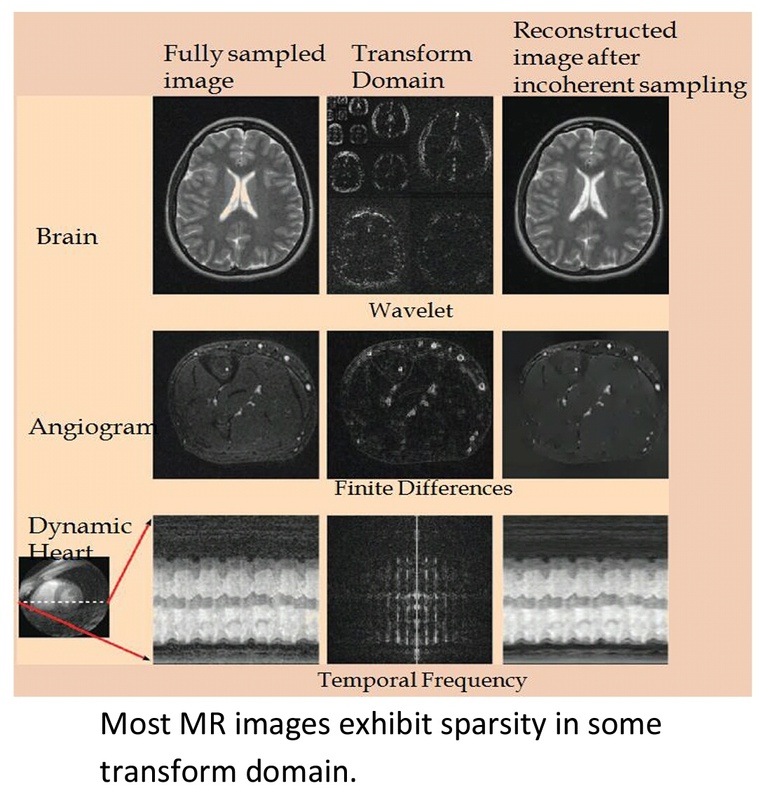 To apply CS to MRI, the k-space needs to be randomly undersampled for reducing the acquisition time. Transform sparsity to remove noise from image content: A sparse signal has most of its energy contained in a few measurements while the rest of the measurements are zero or negligible. It is comparatively easy to remove noise from a sparse signal by thresholding. MR images with higher dimensionality (3D or higher) provide better sparsity (similar to image compression) and hence yield better CS performance. high spatial and temporal resolution. 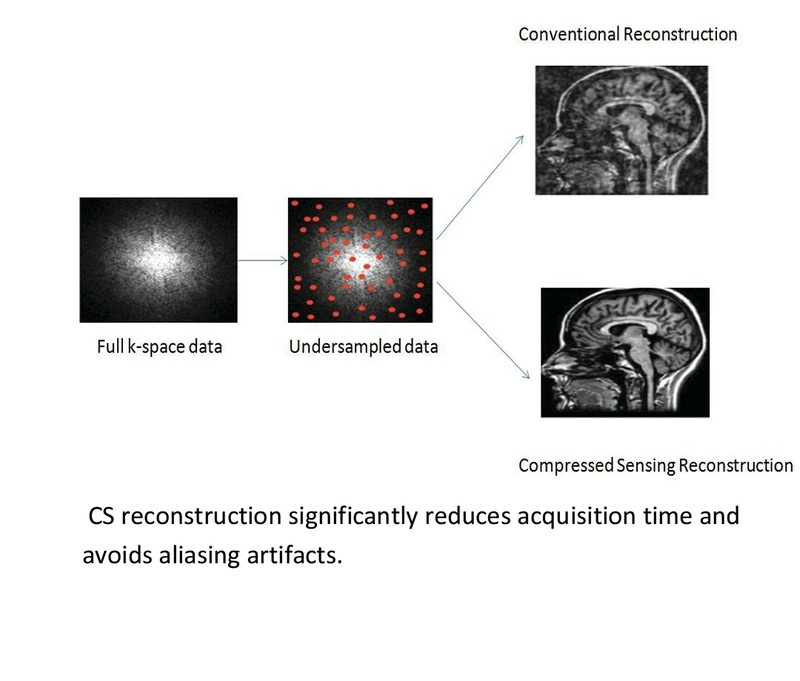 CS improves current strategies by significantly reducing the artifacts that result from undersampling. in acquisition time is critical for diagnosis.